Due to the lacklustre action on the track, the biggest talking point from the European Grand Prix was Mercedes and Lewis Hamilton’s regulatory stalemate that left the team unable to instruct their driver how to switch his car into a high-performance mode. Predictably, the UK-based Hamilton brigade were up in arms, demanding that the restriction be torn from the rulebook and flung with fury into the ocean. First-world problems? Maybe, but for once I completely agree. At the opening race of the season, FIA race director Charlie Whiting was grilled about the implications of the new team radio bans. Effectively, after many half-hearted attempts, the connection between driver and the pitwall would be severed and more responsibility would be placed in the drivers’ hands. 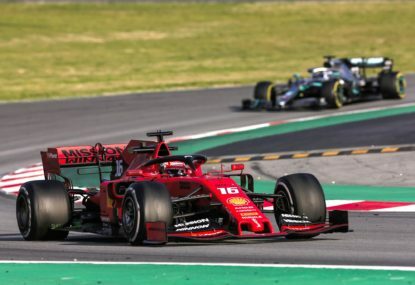 The FIA assured us all that it was a response to growing concern from viewers that driving modern Formula One cars were too easy, too forgiving and that most of the challenge had been lost. At the time, I used this column to raise doubts about the plan. As plans go, it was far from perfect. Firstly, Whiting admitted that the list of permitted radio messages still provided scope for the teams to send coded messages, and that they had little to no chance of proving that teams had circumvented the rules. 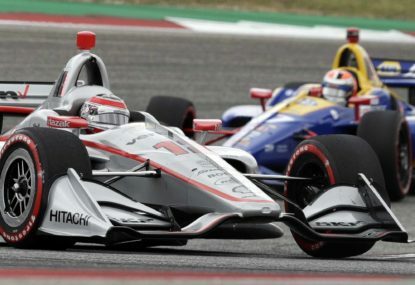 In the wake of the European Grand Prix controversy, fans have made their feelings about the shortcomings of the regulations perfectly clear; yes, they want less driver coaching, but blacklisting driver aid to the point that they can’t drive as fast as possible degrades the spectacle. We sacrifice a lot (i.e. the noise, the speed, the ‘aggressiveness’) to race with the most technologically advanced cars Formula One has ever seen. To see them putting in a sub-par performance defeats the purpose, and is a discredit to the drivers – and, more importantly, the viewers. 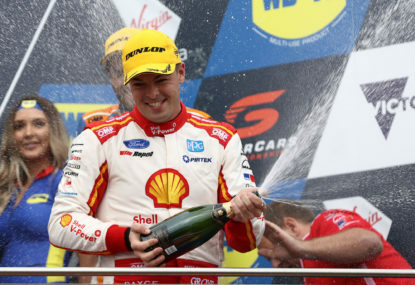 Having said that, there should not be any restrictions to what the team can tell the drivers. Telling a driver how to go faster does nothing to diminish their achievement if they can pull it off. To be fair, the rules were supposed to put the onus on the drivers, with a secondary benefit of mixing up the grid from time to time, which is exactly what happened. It’s only now that it has happened to the reigning world champion and Formula One’s ‘golden boy’ that people are up in arms. Nobody, for example, is writing articles defending Kimi Räikkönen, who found himself with the same problems as Hamilton and missed a podium position as a result. Strict adherence to the rules means that teams should not be helping drivers, period. Whether Hamilton made a change to the engine mode, or the team set it up incorrectly is irrelevant. 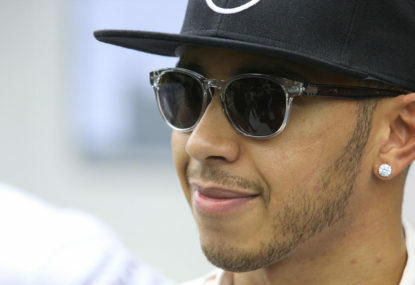 Hamilton has ramped up the drama by claiming that the regulation forced him into a dangerous position as he was more focused on the switches than the road ahead. 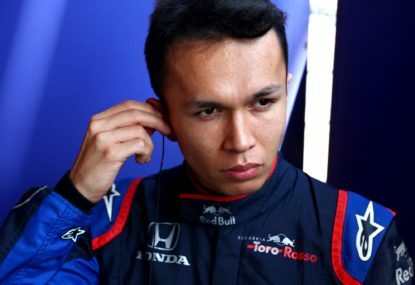 Surely, though, if the situation were truly dangerous he owed it to himself, the team and all other drivers to retire the car (or simply pitting so that the team could manually flip the switch for him, much like you would for a nose change). Even better, if the team was feeling particularly brazen they could have tempted fate, told him what to do and suffered the consequences. Considering the storm of protest that erupted and the vague definition of the associated penalties, any penalty imposed would most likely have been lenient. Ultimately, it was Hamilton’s abysmal performance in qualifying that had the biggest influence on his result in Azerbaijan. However, while it pains me to side with the staunch Hamilton defenders, on this issue I will gladly add my voice to the chorus of disapproval. 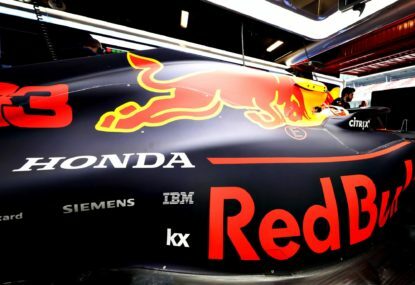 Red Bull Racing entered the 2019 season with much to prove, but it’s difficult to tell where the team stands after three hard-to-read rounds. 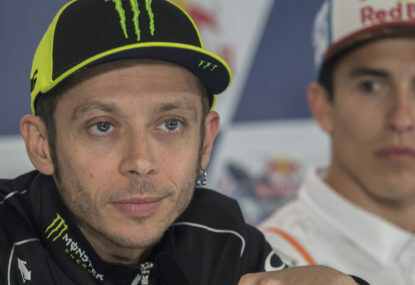 Watching Valentino Rossi ride a motorbike is a thing of beauty. The Supercars parity debate continues to rage on, with the premier Australian touring car category announcing further aerodynamic changes to the ultra-dominant Ford Mustang, which has won nine out of the first ten races in 2019.